Zane has been doing so well developmentally. He’s walking a few steps at a time, feeding himself, and babbling more. But he occasionally does this strange thing where he tenses his whole body. It doesn’t look like a seizure because he’s aware and makes eye contact throughout, but it’s strange. He does it so infrequently that it’s hard to catch on camera. Yesterday during his OT he did it about 5 times in an hour. He sometimes does it when he’s stressed but yesterday he was just feeding himself lunch. I guess the OT did touch him a few times and he hates that (sensory issues), so it could have been stressful to him. IDK. 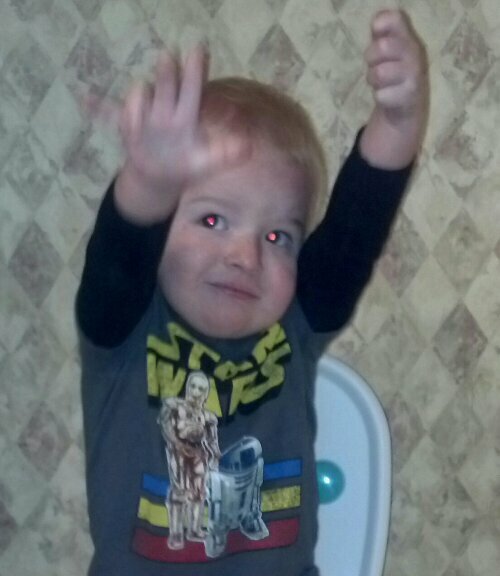 Today I was taking a picture of him on the potty for the first time and he happened to do it at the same time the camera went off. In person it’s over so fast it looks like nothing much. But the picture I caught is HORRIFIC to me because it is the same pose he did when he had spasms. We’re already reevaluating his dose of topiramate, since he’s grown since it was prescribed. We’re also scheduling a quick EEG. Praying it’s just stress-induced from sensory issues and NOT seizures! Please keep him in your thoughts and prayers!